Two of the most influential people in the Buffalo John Masiulionis AKA The Big Mosh and Drew Cerza “The Wing King”! Two of the most influential people in the Buffalo area John Masiulionis AKA “The Big Mosh” of Monday Night Mayhem fame and Drew Cerza “The Wing King”! 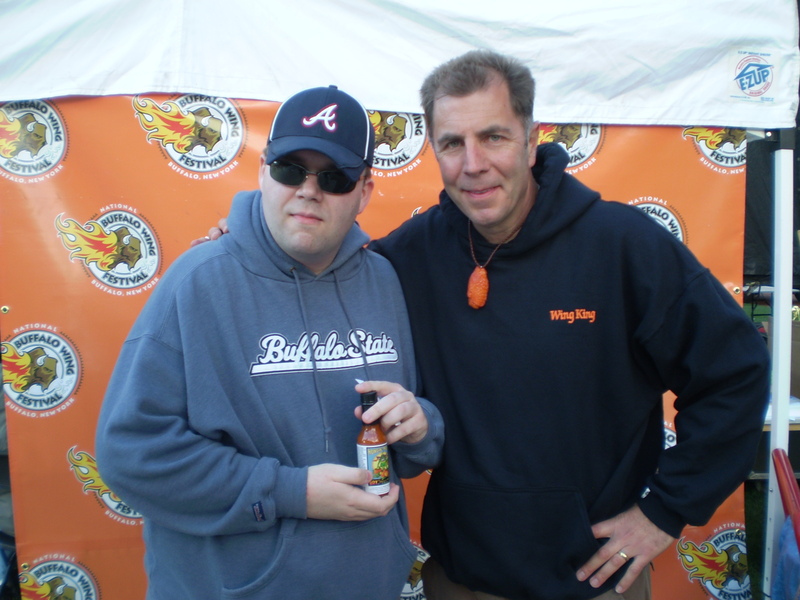 World famous celebrities The Big Mosh and The Wing King at the 9th annual Buffalo Wing Fest with a bottle of Award Winning Hot Sauce from Sizzlin Sauces! Check out the photo and live interview with these two great celebrities! This entry was posted on September 7, 2010 at 8:41 pm and is filed under Sizzlin News. You can follow any responses to this entry through the RSS 2.0 feed. You can leave a response, or trackback from your own site.